The Belarusian state press promotes the new Helsinki process initiated on Minsk's initiative and reports on the numerous foreign policy achievements of the country. Belarus hopes to expand its international presence when it presides over the Central European Initiative and hosts the summer session of the OSCE Parliamentary Assembly this summer. In an Independence Day speech on 3 July, Lukashenka alluded to prominent cultural figures and mediaeval Belarusian polities as important elements of Belarusian statehood. This marks a shift from the usual Soviet-inspired nation-building discourse. The government is issuing Eurobonds for $1bn and plans to launch assembling production of Chinese Geely cars in the second half of 2017. This and more in the new edition of Belarus state press digest. The Central European Initiative meets in Minsk, as Belarus holds the organisation’s presidency this year, according to the Minsk Times. At present, the organisation comprises 18 countries and aims to prevent further dividing lines from growing in Europe. In Minsk, the CEI Foreign Ministers discussed how to adapt the organisation to the new cross-boundary challenges in the region. According to Belarusian Foreign Minister Uladzimir Makiej: ‘There is no room for selective dialogue, where those ‘not European enough’ are ignored or set aside. There can be no “one-size-fits-all” political integration and there can be no universal recipe for instant democracy’. The most sensible European politicians understand this. For example, Hungarian Foreign Minister Peter Szijjarto noted that: ‘We advocate a fair approach from the EU towards Belarus and support the removal of sanctions, simplification of the visa regime between Belarus and the EU, and the promotion of Belarus in negotiations regarding membership to the WTO’. The summer session of the OSCE Parliamentary Assembly opens in Minsk on 5 July. Belarus Segodnia interviewed Permanent Representative of Belarus to the OSCE Aliena Kupčyna. This session was the first OSCE event of its size in Belarus. According to the article, the choice of Belarus as a venue for the annual session is very appropriate, given the current crisis of European security. 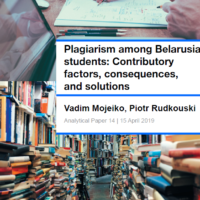 Belarus is increasingly perceived as an island of stability: it has no military or protracted conflicts on its territory and makes a significant contribution to the fight against organised crime, illegal migration, and human trafficking. However, dividing lines in the region continue to grow, despite OSCE declarations. In order to prevent them, countries in the region must first of all scale down confrontation and work to increase mutual trust in the military sphere. Secondly, they should overcome the growing economic fragmentation in the OSCE area and develop economic interconnectedness. Thirdly, the OSCE should help participant states to fulfil their obligations to the organisation, albeit without coercion. Nationalising rhetoric and IT development enter official ideology. Belarus Segodnia published a transcript of Alexander Lukashenka’s Independence Day speech on 3 July. Although such speeches usually feature overly militaristic rhetoric, this time the Belarusian leader alluded to prominent cultural figures in Belarusian history. The authorities seem to be incorporating more and more nationalising elements in official ideology. Lukashenka mentioned ‘those luminaries and ascetics who created Belarusian statehood, including Euphrosyne of Polatsk, Kiryla Turaŭski, Francysk Skaryna, and Symon Budny’. He called the Principality of Polack ‘our historic cradle’, and stated that the Grand Duchy of Lithuania provided a powerful impetus to military and urban development. Lukashenka also mentioned that both Belarus and Russia have no future if they fail to develop their respective IT sectors. Tourism fails to grow despite the new visa-free regime. The number of foreigners who have taken advantage of the possibility to enter Belarus visa-free for five days has reached 20,000 as of this summer, writes Belarus Segodnia. Tourist companies prepared interesting programmes in anticipation of an influx of tourists, but no such surge occurred. Experts note that the introduction of the five-day visa-free regime for citizens of 80 countries remains largely unknown abroad. Most tourists seem to come on business and limit themselves to hotel conference rooms or nightlife rather than visiting local travel agencies. Assembly production of Chinese Geely cars to be launched soon. A Respublika correspondent visited the Geely plant to obtain details regarding the launch of car production. However, the management refused to disclose the details of their business plan or its expected profitability. Representatives of the plant would not even specify the precise dates of the plant’s official opening, saying only that it would be in the second half of 2017. Currently, all car components for test production come from China, but after the official launch suppliers will be primarily Belarusian and Russian. The management of the plant confirmed that there are already pre-orders for the new cars, albeit so far mostly from Russia. The minimum price of a car will be around $12,000 and maximum $26,000-$27,000, depending on the model. Currently, 90% of the company’s employees come from Belarus; the rest are Chinese specialists training Belarusians. Belarus and Russia demonstrate their innovations at the Fourth Forum of Regions in Moscow. 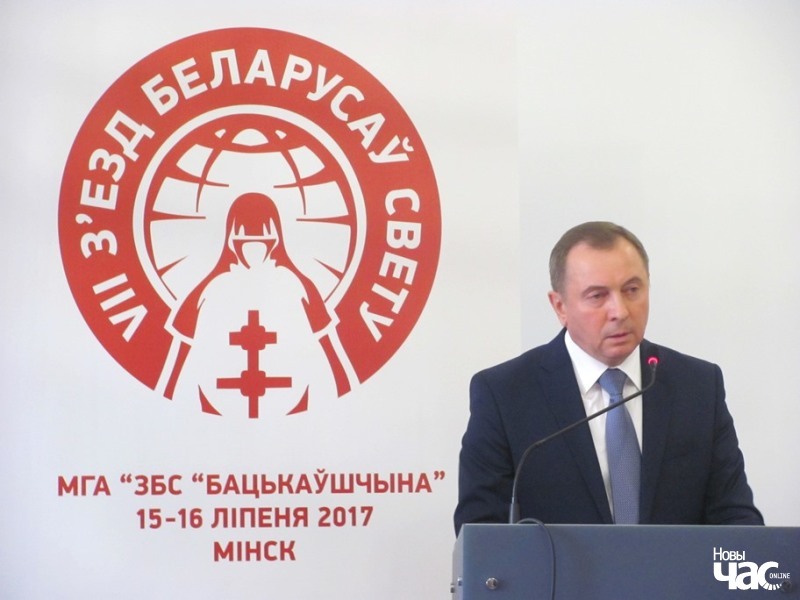 The forum, which was held on 29-30 June, was named ‘Vectors of Integration Development of the Regions of Russia and Belarus in the Sphere of High Technologies, Innovation and the Information Society’, according to Belarus Segodnia. The forum took place at the same time as the Supreme State Council of the Union State; both Alexander Lukashenka and Vladimir Putin took part. The Forum of Regions is designed to facilitate the expansion of contacts and to function as a discussion platform. The exhibition not only displays various achievements, it also shows the real fruits of the economic integration of the two countries. They are laying the foundation for the development of the modern smart economy of Belarus and Russia. It is impossible to be competitive on the global market alone, so the countries need to use their high intellectual potential jointly. Belarus issues Eurobonds for $1bn. The Finance Ministry has announced details regarding the beginning of a Eurobonds roadshow in the USA and Europe, writes the Minsk Times. Depending on market conditions, Belarus plans to place two issues of Eurobonds for 5 and 10 years. The organisers are the Development Bank of Belarus, Citi, and Raiffeisen Bank International AG. The roadshow format envisages presentational shares and meetings with potential investors and leading analysts. The event is being organised by the top management of the companies involved, prior to the placement of the bonds. Concrete terms for new issues of Belarusian Eurobonds and the volume concerned have not been announced. However, experts expect that it may amount to $1bn.